Telecommunications Line Boring - Directional Boring, Inc.
What Is Fiber Optic Cable Directional Boring? Directional boring is a trenchless method of installing dark fiber optic cable underground along a predetermined bore path. The directional drilling system allows for the placement of underground cable with minimal disturbance or disruption along the ground surface. With dark fiber optic line directional boring, obstacles like sidewalks, driveways, parking lots, roads and landscaping are easily bypassed reducing the direct and indirect costs of trenching cable. While we have directionally drilled and installed all forms of telecommunications cable ranging from fiber optic telephone lines for internet and voice to new cell towers, we have also bored traffic signal cables as well as TV, cable and alarm lines. 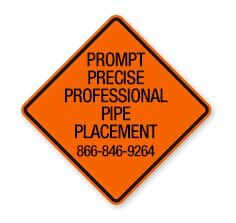 We have provided underground boring construction and maintenance of facilities for a wide variety of communications infrastructure including SONET, METRO-E, Wireless, FTT(X), middle-mile, last-mile and broadband for major long haul and metro carriers including some of the largest cellular, broadband, and digital-data providers. All of our wireless telecom boring departments are OSHA 10 Construction Safety Certified and each department has other safety certifications for their line of work. Our directional drilling services support the most advanced fiber optic and copper networks in the world. Whether it's direct point-to-point fiber connections or DWDM to accommodate OC-48 or OC-192 networks, we have a solution for you. We have the experience and knowledge to drill cutting edge fiber networks From optical packet switching to phased polarization and amplitude modulation of lasers along with advance bit coding, today's fiber optic networks demand directional drilling experience like ours. Our teams have bored and installed hundreds of thousands of feet of fiber optic network line across the USA. 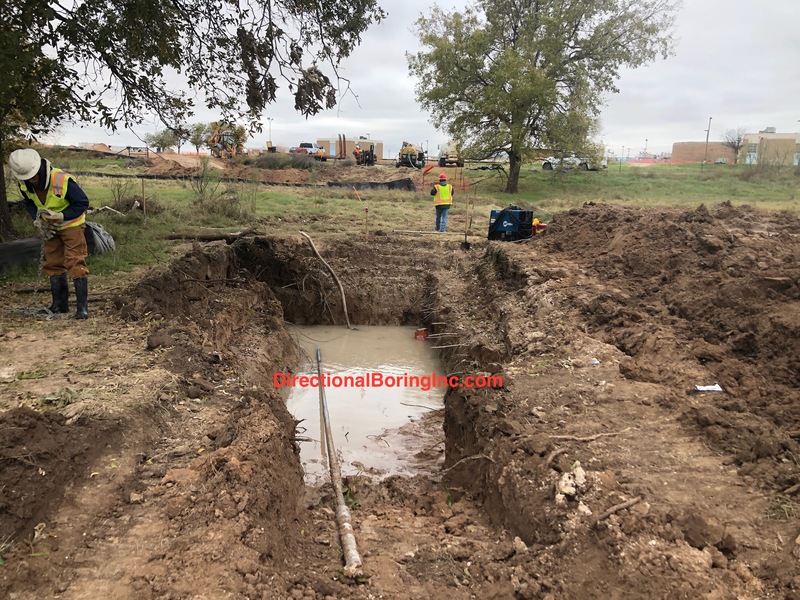 Many broadband companies run their coaxial cables and optical fiber lines underground which often requires directional boring services to lay down new lines or repair current ones. We provide broadband fiber optic cable directional boring and emergency maintenance services. We have drilled FTTP Projects, also called Fiber to the Home (FTTH) which is a pure fiber-optic cable connection that runs from the Internet Service Provider (ISP) directly to the user's home or business. Fiber optic cables are made of one or more optical fibers, which are designed to carry light. Our expert broadband cable installation and maintenance capabilities enable our customers to provide reliable cable and high-speed Internet service across the US. We provide both residential and commercial broadband directional boring installations in the home or office. Through our affiliates, we have also expertise in planning, installation and maintenance of aerial and underground infrastructure work. Our comprehensive construction services FTTX, directional boring, splicing, aerial construction cover the entire spectrum of telecommunications infrastructure installation. Our experienced team of project managers, foremen, drill operators and drill locators have the qualifications, certifications and technical training to get your next telecommunications project done.